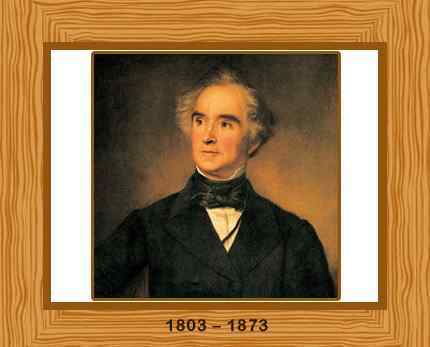 Justus von Liebig was a German chemist, who is widely credited as one of the founders of agricultural chemistry. He made crucial contributions to the analysis of organic compounds, and, in his early years, also published several works on the use of inorganic fertilizers in several languages. He discovered that nitrogen was an essential plant nutrient, and presented his famous Law of the Minimum which explained the effect of individual nutrients on crops. Born in Darmstadt, Germany on May 12, 1803, Justus von Liebig’s father was a chemical manufacturer whose shop had a small laboratory. Young Liebig loved to perform experiments at the place. After learning pharmacy for about six months, he acquired a degree in chemistry from the Prussian University of Bonn. Liebig received his doctorate from the University of Erlangen in Bavaria in 1822. Liebig worked on the serious explosive silver fulminate, a salt of fulminic acid. During the same time, the German chemist Friedrich Wöhler was also studying cyanic acid. Liebig and Wöhler collaborated to establish that cyanic acid and fulminic acid were two different compounds having the same composition. The concept of “isomerism” was later recognized by the Swedish chemist Jöns Jacob Berzelius. Liebig revolutionized organic analysis using a five-bulb device called the “Kaliapparat”. He understated the importance of humus in plant nutrition and maintained that plants feed upon nitrogen compounds, carbon dioxide from air, and some minerals found in the soil. He was the first person the invent a nitrogen-based fertilizer. Liebig also devised the Law of the Minimum. The law states that growth is dictated not by total nutrients available, but by the scarcest nutrient (the limiting factor). Liebig was one of the true forefathers of modern agriculture. Justus von Liebig was made a baron in 1845. He died on April 18, 1873, aged 69. Liebig was buried in the Alter Südfriedhof, Munich.